Diaspora Weddings and Proxenia - Studio photo of Theodora Lianos before her wedding,1925. Photos > Diaspora Weddings and Proxenia > Studio photo of Theodora Lianos before her wedding,1925. Studio photo of Theodora Lianos before her wedding,1925. Mirror image. 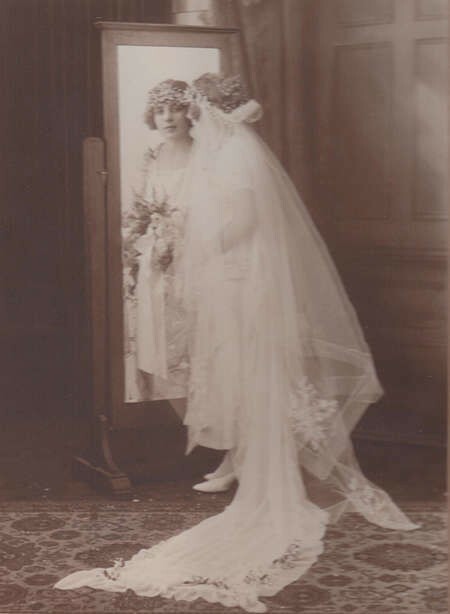 Photograph taken before her marriage to Bretos Margetis, Agia Triatha Church, Surry Hills.